As soon as the Lok Sabha elections are approaching, the political parties have begun to gear up. In the same sequence, MNS chief Raj Thackeray has convened a meeting of officials of his house Krishna Kunj MNS to prepare the next strategy. It is likely that in this meeting, Raj Thakre will decide with party office bearers that how many seats will the party contest in the general elections. Earlier, MNS was going to lead the NCP in the forthcoming Lok Sabha elections. But recently NCP President Sharad Pawar has said that MNS does not come with us. Since then, the speed of the MNS movement has accelerated. 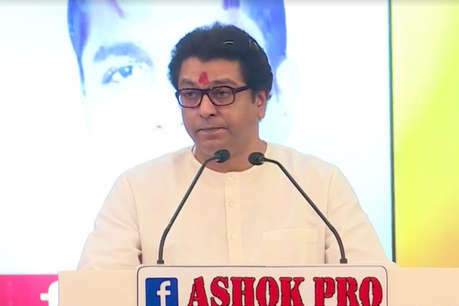 Raj Thackeray’s MNS knows that the party is ready to fight in three seats in the Lok Sabha elections. However, it is not clear whether these three seats will be. But it is expected that in these Mumbai and Nashik seats are included. MNS and NCP are less likely to get an open front in the coming elections because Congress is opposing this front. Therefore, these parties are likely to have an internal agreement.